This weekend may have been the end of the soccer season for you and your player marked with pizza, team comradery and a special trophy to remember the fun and season by. 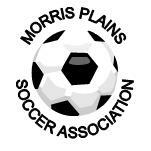 Morris Plains put on a great season and was run by a great team and board. We wanted to share and say Congratulations to 3 of our Morris Plains teams for getting Trophies in the MU tourney. Another excellent program that was introduced this season was Lee's Clinic with the Pre K Kickers! This was a great clinic for some of our younger 'kickers' to learn the fundamentals about the sport of soccer and to have fun. Some of the 'kickers' don't want to stop playing, so to keep the momentum going and fun in the already chillier weather, check out the Pre K Kickers site for some indoor fun too! Congratulations Morris Plains and cheers to a great Soccer Season!